The online store concept Coolblue is popular, showing strong growth, and is aiming for offline proposition of the brand promises expressed on the internet. 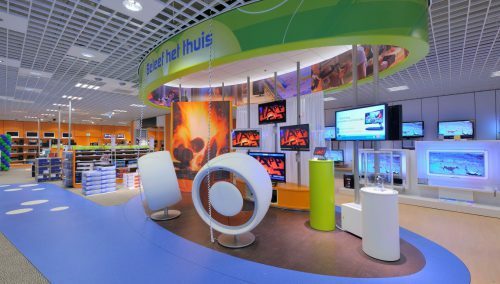 WSB Shopfitting is responsible for the construction of the interior of the Coolblue concepts in Utrecht, Rotterdam, Groningen en Amsterdam, Zaventem, Wilrijk and others. Coolblue believes in knowledge. In focus. In specialist knowledge. Coolblue grows bigger by getting better. This is based on Coolblue’s commitment to one thing only since its inception in 1999: creating online stores we can be proud of. 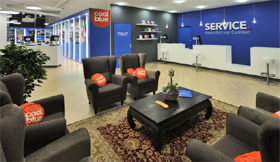 Meanwhile, Coolblue supplies consumer goods in the Benelux via over 325 specialist internet stores and 7 physical shops. With this approach, Coolblue has shown double-digit growth for many consecutive years in both the Netherlands and Belgium. 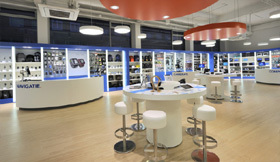 WSB create offline shop successes by integration of online and offline store concepts. 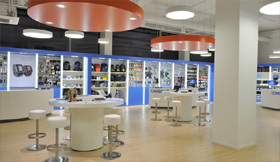 WSB works for shops such as Coolblue and Fietswinkel.nl and Shuz, Dungelmann, Anna van Toor, Intersport. Would you like to know more about our working methods? 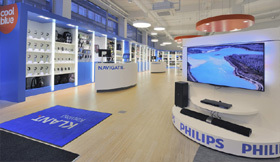 Our retail designers and technical project leaders can tell you more. 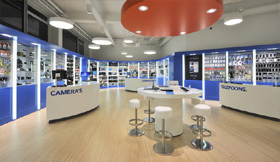 Retail design Electronics: The design and interior of optician shops in Europe is one of WSB’s strengths. 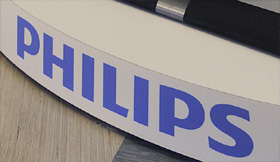 We are specialists in designing professional electronic shops and unique presentations of glasses at competitive rates. We are not one-trick ponies. Instead, we create distinction, experience and positive surprises for our clients and their customers. 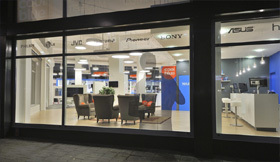 Do you have any plans for a new store concept or a shop renovation? Please call us, mail us or visit our website.